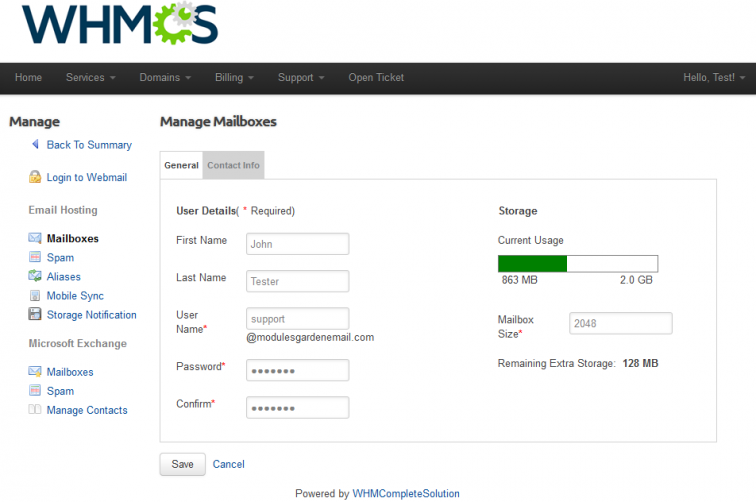 ModulesGarden Rackspace Email Extended For WHMCS is a fully featured module that will let you automate the provisioning of Rackspace Email accounts in your WHMCS. 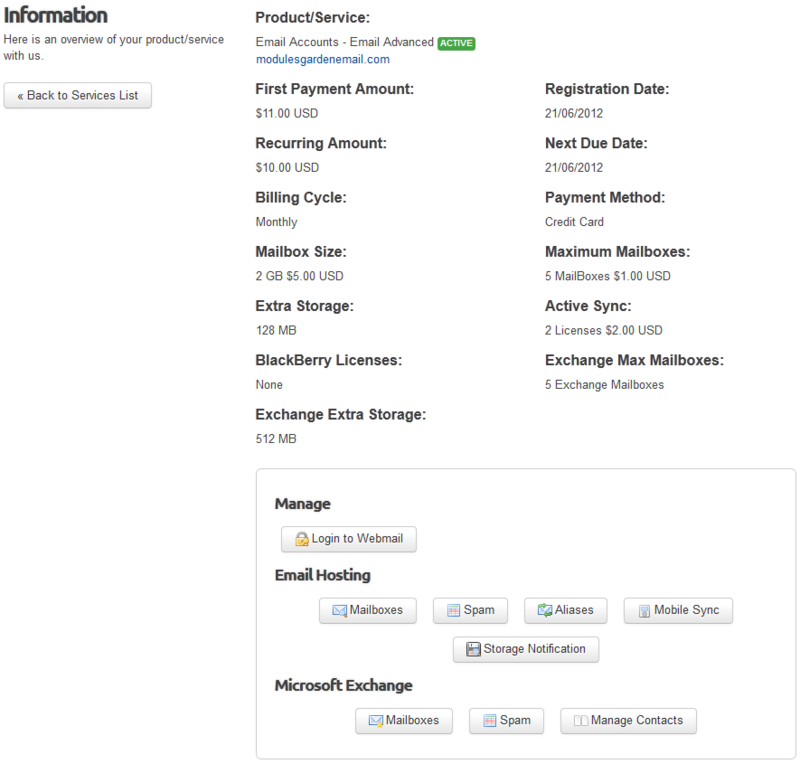 What is more, our product will empower your clients to remotely manage their accounts without even leaving your client area! With our module, your customers will be enabled to handily manage many aspects of Rackspace Email accounts like mailboxes, aliases, mobile sync and several more. As a reseller, you will be able to freely customize each product to meet even the most sophisticated expectations of your clients. Moreover, you will be able to define supported service type per product since the module supports both Email Hosting and Microsoft Exchange. Rackspace Email Extended For WHMCS will help you reach new customers and make your reselling venture more efficient than ever. Take a step towards ensuring that your business benefits from all available opportunities and order our module today! We've been using it for over 3 years. Keep up the great work and support.